When you want to have a wedding beach, a wedding planner will recommend you to decorate your venue with shells, miniature of ship or even fish. Basically, you can use all things related with sea to be decoration. However, why don't you try something different with your venue? Beach decoration is not always related to sea. You can use other decoration item and combine it with your beach style. 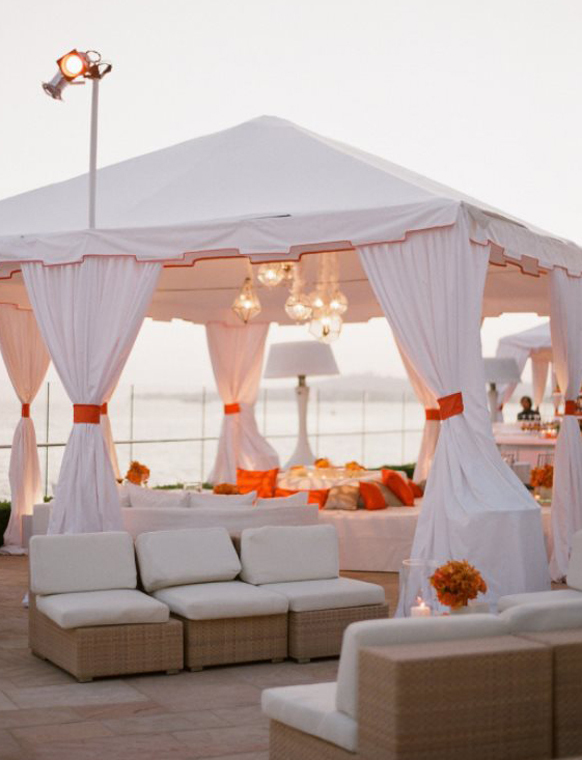 Couples want to have a beach wedding since they want to make the most romantic wedding. The sounds of waves against the shore will give you the serenity of nature. 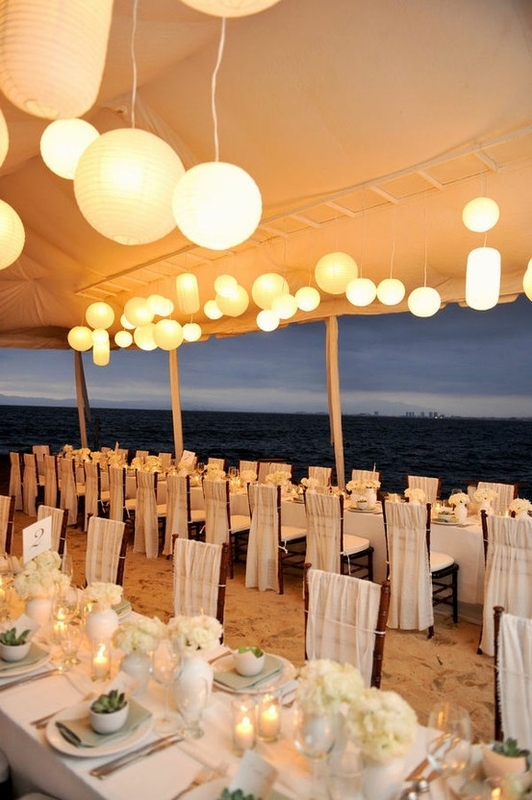 If you arrange an evening wedding you can catch the beautiful shore lights. While you are dancing, stars and moonlight will smile at you happily. Have you ever danced under the beautiful moonlight? 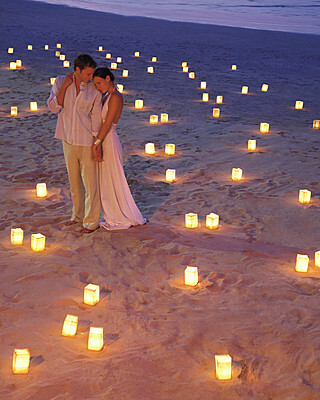 Then you can not only use the stars or moonlight as your wedding lighting. 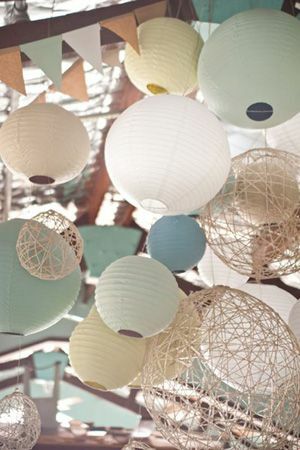 To make your venue calmer and peace, you can use torch or string lights. If you use many bright lamps, you will loose the stars and moon. Your guests will not gaze at the skylight since their eyes filled by too many lights. Decoration is about mix and match. Beach decoration can be paired with something from the land. 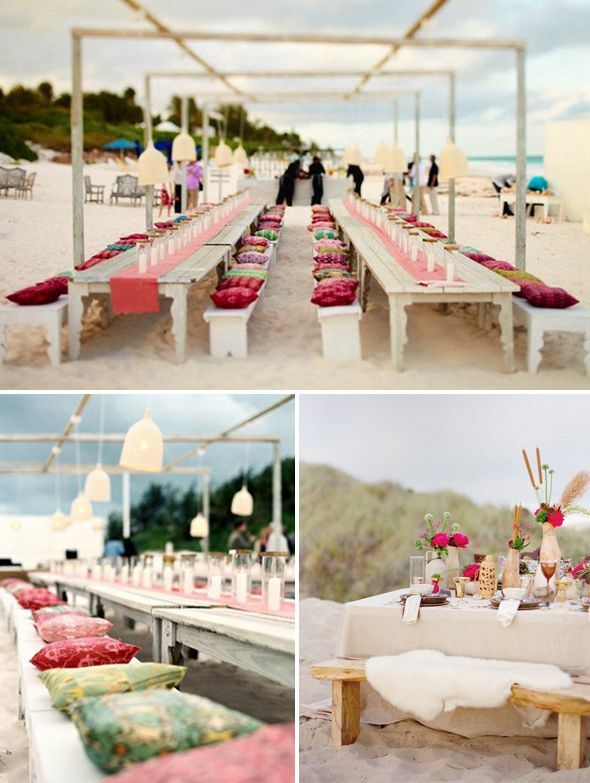 While you still give beach impression to your venue, your guests will not get confused. They will still consider that you give them beach decoration. Beach decoration doesn't mean you can only use something from the sea. 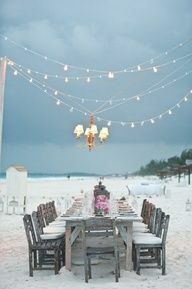 If you get the most beautiful beach, you tell your guests that beach wedding is your main theme. You serve them sea food and sea favors. That's enough to represent a beach wedding. You can also create your own beach decoration; try to mix between beach and mountain wedding for example. Set a mountain image and combine it with thousands of beautiful flowers. Maybe you can use plants and mix them with shells or stone. This combination is much more unique than other beach decorations. When beach decoration becomes trend between newlyweds, then only usual beach decorations appear in society. Just like the students uniform at schools, all beach wedding is only adorned by shells, sands, palm trees, dolphin, or surf boards, whereas you can give other touches to your venue in order to make a unique decoration.